"In recent years, Azerbaijan has become a place of global forums for discussing issues of international importance. Our efforts in environmental issues reflect our thoughts and position as one of the regional and international leaders in the way of green development. Within 'Green Week', the International Youth Forum, round tables on 'Environmental Diplomacy Course', 'green economy' as well as for the first time outside of the Western European region, the Regional Consultation Meeting have been held in Azerbaijan". According to her, Azerbaijan has become the first country in Eastern Europe to undertake the study of "green economy" and to complete this work. 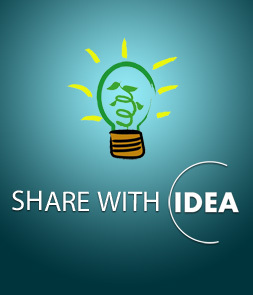 pupils how to behave so as not to harm the environment," the founder of IDEA noted. According to Mrs. Aliyeva, the main goal of humanity should be to ensure the development of living conditions for current and future generations. Mrs. Leyla Aliyeva noted that for dialogue, education, leadership and collaboration among young people, not only in Azerbaijan, but in the whole world, we have established a connection with environmental groups from around the world.